The first English-language collection of a contemporary Russian master of the short story. Maxim Osipov, who lives and practices medicine in a town ninety miles outside Moscow, is one of Russia’s best contemporary writers. In the tradition of Anton Chekhov and William Carlos Williams, he draws on his experiences in medicine to write stories of great subtlety and striking insight. 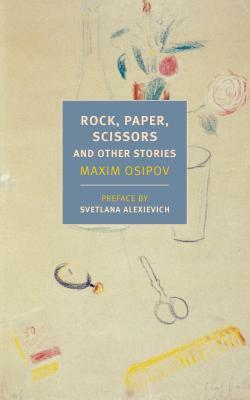 Osipov’s fiction presents a nuanced, collage-like portrait of life in provincial Russia—its tragedies, frustrations, and moments of humble beauty and inspiration. The twelve stories in this volume depict doctors, actors, screenwriters, teachers, entrepreneurs, local political bosses, and common criminals whose paths intersect in unpredictable yet entirely natural ways: in sickrooms, classrooms, administrative offices and on trains and in planes. Their encounters lead to disasters, major and minor epiphanies, and—on occasion—the promise of redemption. Maxim Osipov (b. 1963) is a Russian writer and cardiologist. In the early 1990s he was a research fellow at the University of California, San Francisco, before returning to Moscow, where he continued to practice medicine and also founded a publishing house that specialized in medical, musical, and theological texts. In 2005, while working at a local hospital in Tarusa, a small town ninety miles from Moscow, Osipov established a charitable foundation to ensure the hospital’s survival. Since 2007, he has published short stories, novellas, essays, and plays, and has won a number of literary prizes for his fiction. He has published five collections of prose, and his plays have been staged all across Russia. Osipov’s writings have been translated into more than a dozen languages. He lives in Tarusa. Boris Dralyuk is the executive editor of the Los Angeles Review of Books. His recent translations include Isaac Babel’s Red Cavalry and Odessa Stories and Mikhail Zoshchenko’s Sentimental Tales. He is the editor of 1917: Stories and Poems from the Russian Revolution and co-editor of The Penguin Book of Russian Poetry and Lev Ozerov’s Portraits Without Frames (published by NYRB Classics).Alex Fleming is a translator of Swedish and Russian literature and children’s fiction. Her previous translations include works by Therése Söderlind and Cilla Naumann, and in 2015 she was awarded the British Centre for Literary Translation’s Emerging Translator Mentorship for Russian. She is based in London. Anne Marie Jackson has lived for extended periods in Russia and Moldova. She is a co-translator, with Robert Chandler and Rose France of Tolstoy, Rasputin, Others, and Me: The Best of Teffi, and with Robert Chandler, Elizabeth Chandler, and Irina Steinberg of Memories: From Moscow to the Black Sea (both published by NYRB Classics). Her previous translations include works by Alexei Nikitin and Olga Slavnikova. Svetlana Alexievich is a Belarusian journalist, writer, and historian. The daughter of two teachers, she studied journalism at the Belarusian State University in Minsk and went on to work as a teacher and newspaper journalist. She published her first book, The Unwomanly Face of War, an oral history of women’s experiences in World War II, in 1985, and since then has released five chronicles of Soviet and post-Soviet history, including Boys in Zinc (1991) and Voices from Chernobyl (1997). In 2015, she was awarded the Nobel Prize in Literature, the first time it had been given to a journalist.